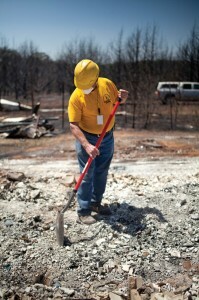 Following the wildfires that affected Guthrie, the Disaster Relief organization of the BGCO responded through “ash-out” clean-up. 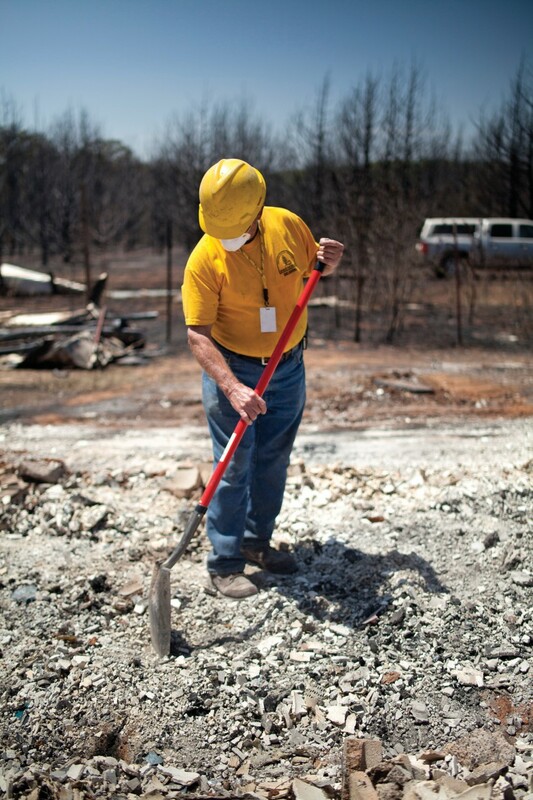 After helping people recover from tornado damage in Quapaw at the end of April, the Disaster Relief organization of the Baptist General Convention of Oklahoma (BGCO) started the month of May helping in the response to wildfires that affected the Guthrie area on May 4. In addition to its work in Guthrie, Disaster Relief operation, which has some 5,500 volunteers, is preparing meals for first responders, including fire fighters, in the Woodward area after wildfires occurred in the northwest part of the state. “Wherever we serve, we want to show God’s love for people in their hour of need,” said Porter.